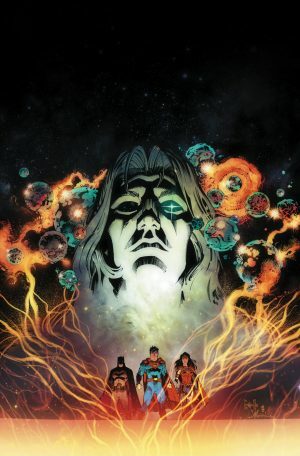 Fan Expo 2017 & DC Comics Rebirth Spoilers: Dark Nights Metal Ending Spoiled By Reveal Of What The Dark Multiverse Really Is? 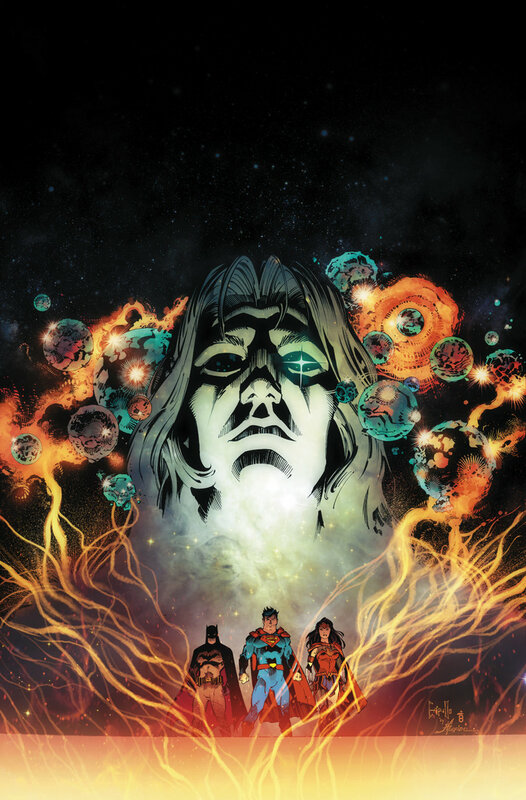 Fan Expo 2017 and DC Comics Rebirth Spoilers for Dark Nights Metal follow. During a DC Comics panel at Fan Expo 2017, attendees were told of the true nature of the Dark Multiverse. (1) It is where fears from the multiverse become reality. (2) Dark Universes within this Dark Multiverse, denoting multiple universes, are born out of fear, but die when the fear is overcome. (3) Batman’s fears have been internalized, shunted to the side, not dealt with. 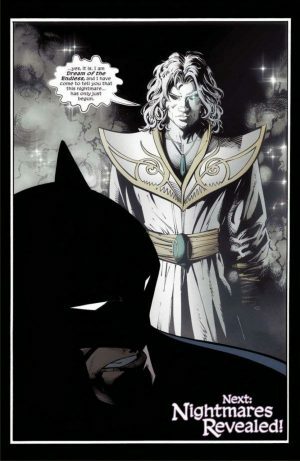 (4) The Dark Knights master Barbatos collects Batman’s nagging fears particularly around the consequences if he fails. (5) here at least seven Dark Knights from the Dark Multiverse representing seven of Batman’s fears concerning the Justice League and the Joker. 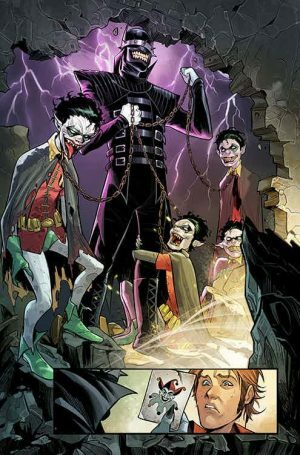 An observation would be the “world” or “universe” around these characters; it appears, for example, the multiple Robins with the Batman who Laughs appear to be part of a shared Batman nightmare involving the Joker. We also now know how Dark Metal ends I think. Batman will overcome his fears either internally or through this seven Dark Knights nightmare avatars. Then the fears made reality will be gone, but Barbatos may still exist as he / it can mine other peoples’ nightmares and create new avatars. 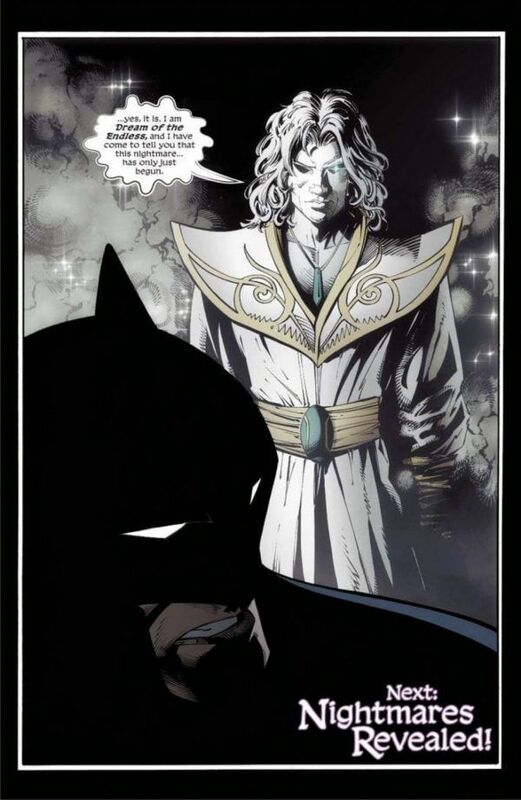 The nightmare angle also makes sense for why the Sandman, Dream of the Endless, Daniel Hall the grandson of Hawkman Carter Hall is part of Dark Nights Metal; not just due to his grandad’s Nth Metal, but the whole dream-nightmare angle to. Interesting.